Ducks, ducks, ducks! Get out on the Pamlico Sound with Captain Aaron Aaron and Captain Tim Hagerich. We both hold a 100 ton master Captain's license and can carry you and your crew to some of the best Waterfowl hunting spots on the East Coast. 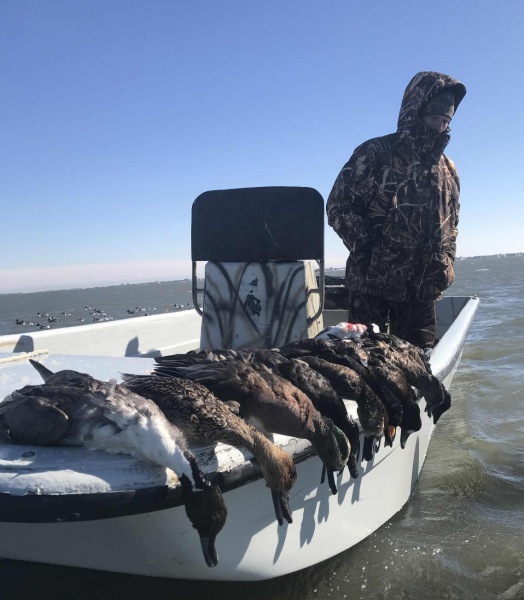 Blinds, curtain boxes and our large comfortable duck boats will ensure you have a memorable hunt here in Hatteras.